Hearing loss is known as the invisible disability for a reason. No one can view or experience your hearing loss, and no one can sense your difficulty and stress. The only thing someone can sense is their OWN aggravation when they have to constantly repeat themselves. Unfortunately, individuals with hearing loss rarely get the benefit of the doubt. That’s why disclosing your hearing loss to others is crucial—both for attaining empathy and for participating in effective conversation. Here are some tips you can use to let others know about your hearing loss. Informing others about your hearing loss might be awkward or uncomfortable, but in doing so you’ll prevent many other awkward situations. Missing out on jokes and causing others to repeat themselves, for instance, can result in situations that are even more uncomfortable. Keep the distance between us short, and please don’t scream across the room or from another room. Face-to-face communication is important; visual cues and lip reading help me understand speech without straining. Get my attention before communicating with me. Speak slowly and clearly, but there is no need to shout. Your friends, family members, and work colleagues will appreciate the honesty and guidance, and you’ll avoid having to deal with communication issues after the fact. After completely disclosing your hearing loss and offering communication guidelines, the final consideration is the control of your environment. You want to give yourself the best chance to listen and communicate clearly, and you can accomplish this by cutting out distractions and background noise. When eating out, pick out a calm, tranquil restaurant and choose a booth away from the middle of the restaurant. At social gatherings, it’s best if there is no background music or sound coming from a TV or radio. Locate quiet areas for conversations. Don’t be afraid to talk to the host ahead of time about special arrangements. Planning ahead is your best bet. Contacting the host prior to the event will give you your best shot at effective communication. And the same pertains to work; schedule some time with your manager to review the preparations that give you the best chance to achieve success. They’ll appreciate the initiative. When hearing loss starts to make social events more of a burden than a pleasure, it’s about time to search for professional help. 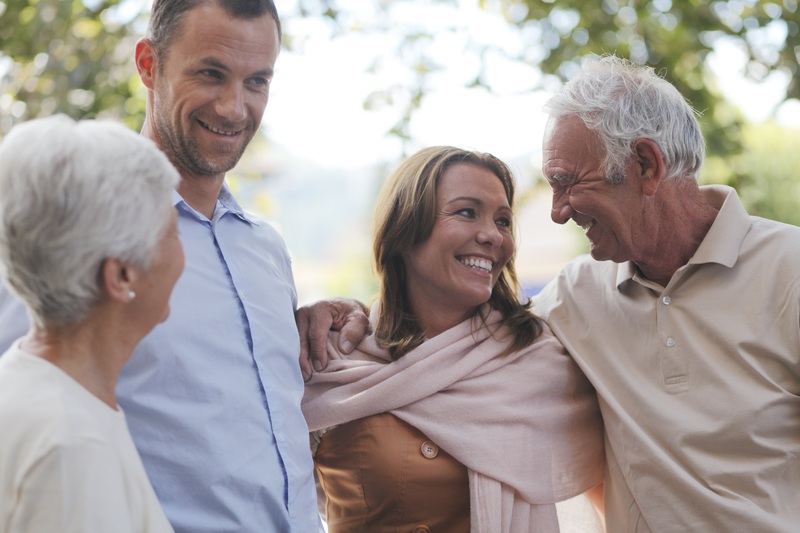 Modern hearing aids have come a long way in terms of their ability to suppress background noise and enhance speech recognition, and they may be exactly what you need to enjoy a lively social life once again.